1st-Tech-Ideas.com is dedicated to patenting and IP services. For over 15 years, we’ve successfully offered our clients a business-oriented approach to patent protection and other IP considerations. Additionally, we draw on decades of experience in senior management, business, marketing, and engineering development work. 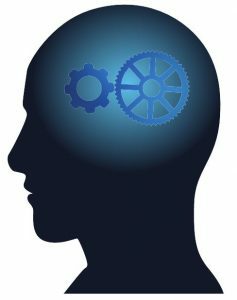 Combining this experience with our knowledge of intellectual property (IP) allows us to provide our clients with the insight and cost information they need to effectively integrate patents into their business/product strategy. We can help you protect your IP. The video to the right (1:40 minute) gives an introduction to our approach to patenting and IP services. Our background covers a wide range of high and low tech B2B and B2C products and businesses such as: consumer products; spacecraft systems; security products; cryogenics; electro-optics and electronics for various applications; medical products; and consumer wireless and video–among others. Our professional staff is headed by Mr. Haim Factor, who holds BS and MS degrees in Engineering and an MBA degree–and is a Registered US Patent Agent. In addition to his IP experience, Mr. Factor has over 25 years of senior high-tech business and marketing experience in large corporations and in start-ups, including management and consulting in US and in international settings. Working with a network of professional and experienced patent attorneys and IP professionals located throughout the US, Europe, Israel, and the Far East, we can help you with affordable patent services worldwide. Mr. Factor is a USPTO registered Patent Agent (Registration no. 52877) and a past member of NAPP® , National Association of Patent Practitioners. We’re professional and we’re experienced. This yields practical, professional, and affordable patent services for you. rapid prototyping services for their inventions. Since late 2016, we’ve had an association with LA-NPDT, a cross-functional team of talented engineers, product designers, developers, and marketing experts. They can assist you by providing a complete range of new product development services. 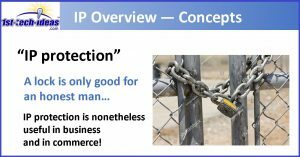 On 9/26/18 we held a 45-minute Webinar with Mr. Haim Factor speaking about “IP and Patent Considerations”, including useful hands-on tools to protect your IP. Click here, starting at 2:00 , to view and hear the Webinar! If you have any comments on our site, our services, or suggestions, we’d be happy to hear from you. Our office hours are: 8:00 AM to 5:00 PM ET, Monday through Thursday. (We’re closed on Fridays.) We normally respond to calls/messages within one business day. Click for additional contact information. We understand concerns you may have about Internet activities and purchases. We strictly respect your privacy.